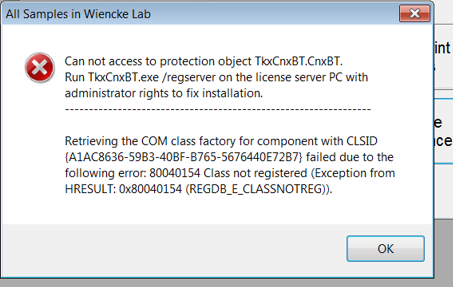 This Error Message Article explains the BACKTRACK error message “Cannot access to protection object TkxCnxBT.CnxBT. Run TkxCnxBT.exe /regserver on the license server PC with administrator rights to fix installation.” and details how to fix the underlying problem that caused it to appear. This error occurred because the file TkxCnxBT.exe in C:\Program Files (x86)\BT2012 is missing. In the 2 instances where this occurred, user received message from Symantec Endpoint Protection (SEP) software indicating that the file TkxCnxBT.exe contains virus and was removed (deleted). Revised 7/26/18: Another customer also encountered the same problem. He was suing CYLANCE Protect software version 2.0.1490.27. 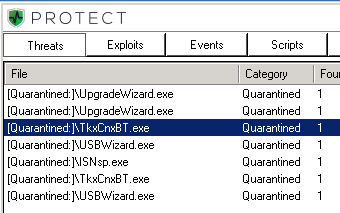 The software falsely determined that the file TkxCnxBT.exe contains virus and placed it under quarantined. The problem was cause by a false positive with SEP software. We can replace the file TkxCnxBT.exe but it will, most likely, be deleted by SEP again. You will need to work with your IT to whitelist the file from SEP and then install the file back in to it’s proper location. A copy of TkxCnxBT.exe is available to download at the bottom of this article. It is in ZIP format.